The electrical outlets serve as the control conduit for all your lights and appliances: the point where they access the electrical power in your home and allow you to turn them on and off. A dead outlet is usually a sign of trouble, trouble which can’t always be addressed by do-it-yourself know how. You can certainly ascertain the basic nature of the problem, first by determining if the outlet is the only thing that’s dead and then by checking your breaker box to see if the breaker has been tripped. Beyond that, however, you should likely call a local Hartford, CT electrician. Why? There are a number of good reasons. In the first place, electricity can be dangerous if not addressed by a professional. Most outlets use multiple electrical wires, and mis-labeling or confusing them can have significant repercussions. A professional knows what to look for and can replace the dead outlet quickly and efficiently without risk to your home. In addition, a dead outlet can be caused by a number of different factors, some of which can’t be addressed by simply installing a new outlet. There could be problems with the wiring, with connectors, or even with the circuit breaker itself. A qualified electrician can ascertain where the trouble lies and get to the root of the problem, instead of just swapping out a component that might not be malfunctioning in the first place. If multiple dead outlets appear, the issue may be more widespread than it first appears, which may necessitate a more extensive operation to correct. In such cases, an electrician is definitely called for, since he will adhere to proper safety protocols in determining exactly how much of your electrical system needs to be replaced. If one or more of your outlets goes dead, then don’t hesitate to call in a pro. 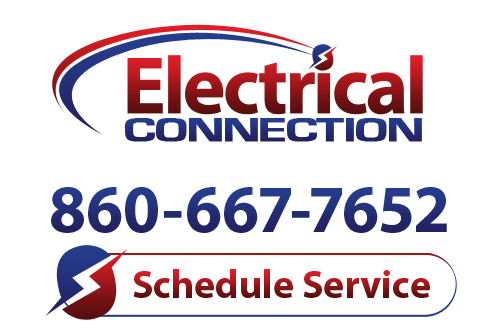 The experts at Electrical Connection operate in the Hartford, CT area, and will come to your home to address the problem thoroughly and professionally. Call us one of our Hartford, CT electricians today and get that outlet up and running again asap!